How Does Vinyl Siding Compare With Brick For Your House? Home exteriors aren’t just for aesthetics and curb appeal. They make a big difference when it comes to home stability, lifespan, and energy efficiency. ” Should I go with a brick house or vinyl siding?” There are many variables to consider when making this decision. Which option should you choose? Brick vs. Vinyl Siding. Brick homes have been a standard of quality in the building industry for years, where as today’s high-tech plastic and vinyl materials combined with modern manufacturing techniques have turned vinyl siding into an exceptionally versatile and high-performing choice for cladding. Overall cost is significantly lessIf staying within budget is one of your main concerns, vinyl is by far the best choice for exterior cladding. Vinyl is the least expensive of all types of siding to install because of its lightweight and ability to be installed directly over your existing surface. Vinyl is versatile and fully customizableCustomize your dream exterior with the hundreds of colors, textures, and sizes that are available when you choose vinyl siding for your home. Want a stone or wood look? Vinyl can be engineered to look like other materials without the maintenance and associated installation costs. Durable and Maintenance FreeVinyl siding is virtually maintenance free, and can easily be washed using a garden hose. The color on vinyl siding won’t fade away, it is resistant to water damage, pet infestations, and it can stand winds up to 240 mph. Vinyl siding is backed by a full-service transferable warranty, and according to Modernize, you may even be eligible for a reduction in your insurance premiums when you install vinyl siding. Energy EfficientInsulated vinyl siding places a blanket of protection over the studs, keeping your home warmer in winter and cooler in summer. In addition, insulated vinyl siding may make you eligible for energy tax credits, making it even more economical to install. Brick vs. Vinyl Siding, what should you choose? Brick homes have been a standard of quality in the building industry for years. 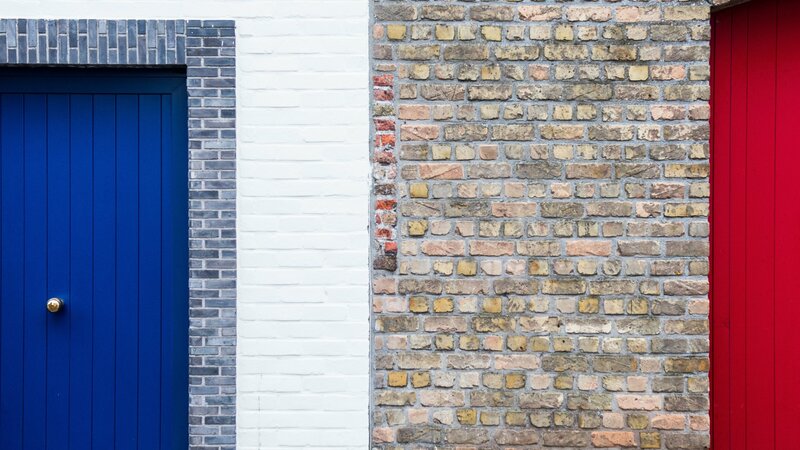 Their durability, timeless appeal, and energy efficiency are some of the reasons that make brick one of the most popular choices for exterior cladding in North America. Timeless EleganceIf you are willing to spend the extra money, brick is a popular choice for those looking for a more traditional exterior cladding. However, not as many color options are available compared to vinyl. Durability and EfficiencyAs far as structural durability goes you can’t beat brick. Brick itself is a relatively low-maintenance building material, thanks to its durability and color retention. Brick will blanket your home with an extra layer of protection against the elements. Resale ValueIf you plan to flip a house fast, Vinyl is the better choice to give you the look you want without the high investment costs associated with other materials. However, if this is your forever home, brick lasts longer, and will increase your homes value over time. Looking for a local contractor to work on your home exterior? Look no further! Are you looking to improve your home in Muncie, Indiana and surrounding areas? Consider new siding from Clemens Home Solutions. Reliable siding solutions offer performance, efficiency, and beauty to your home. Brick vs. Vinyl Siding, what should you choose? Our experienced team works with you to answer all your questions, and will help you find the perfect siding for your home. Give us a call, or schedule a free estimate!